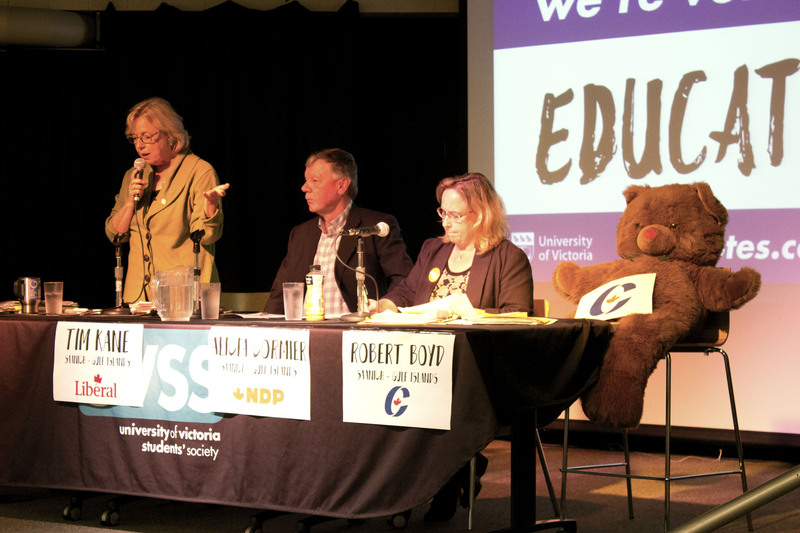 From L to R: Elizabeth May, Tim Kane, Alicia Cormier, and Teddy Bear Proxy were all in attendance for the Saanich-Gulf Islands district debate on Oct. 7. Photo by Sarah Lazin. While the federal election is nearly upon us, many voters have yet to decide which party will earn their X on the ballot. 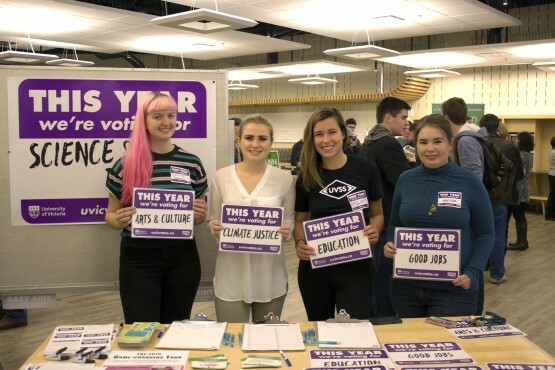 On Oct. 7, candidates from the Green, Liberal, and NDP parties joined UVic students on campus for two debates and a candidate fair — where students could chat with their potential representatives one-on-one about several fundamental election issues. I joined dozens of other students in the Vertigo room of SUB with an open mind, and my vote sitting on the fence. At the Candidates Fair, Jo-Ann Roberts represented the Green Party for the Victoria riding. Murray Rankin, the incumbent MP for Victoria represented the NDP, and Tim Kane from the Saanich-Gulf Islands riding represented the Liberal Party. 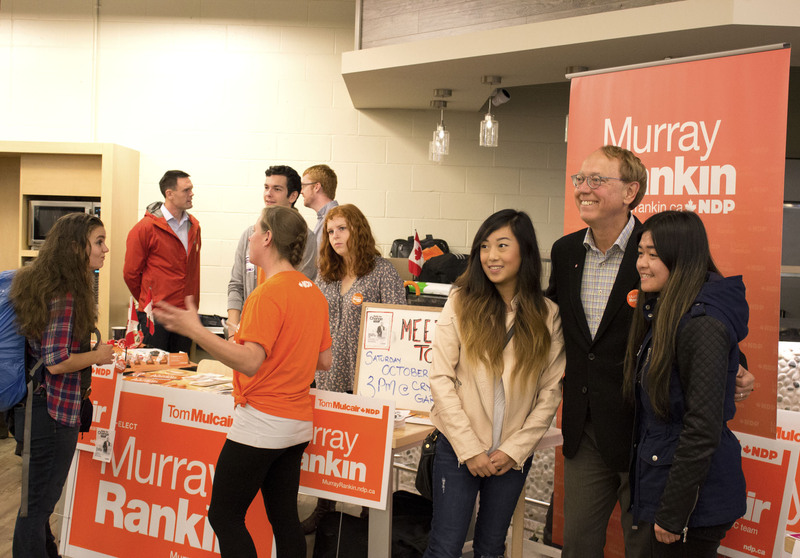 Incumbent MP Murray Rankin meets with students at the Candidates Fair on Oct. 7. Photo by Sarah Lazin. I spoke to each representative asking them about their post-secondary platforms, among other issues. Every party was eager to tell me how their proposed platforms trumped those of their competitors. Rankin focused our discussion on the NDP’s plans to make the cost of living for students lower. From L to R: Aria Poutanen, Solenn Madevon, Makenzie Zouboules, and Selena Barwin table for the This Year We’re Voting campaign. Photo by Sarah Lazin. I also spoke to each of the candidates about the niqab debate — a controversial wedge issue that is currently dividing the Canadian vote. 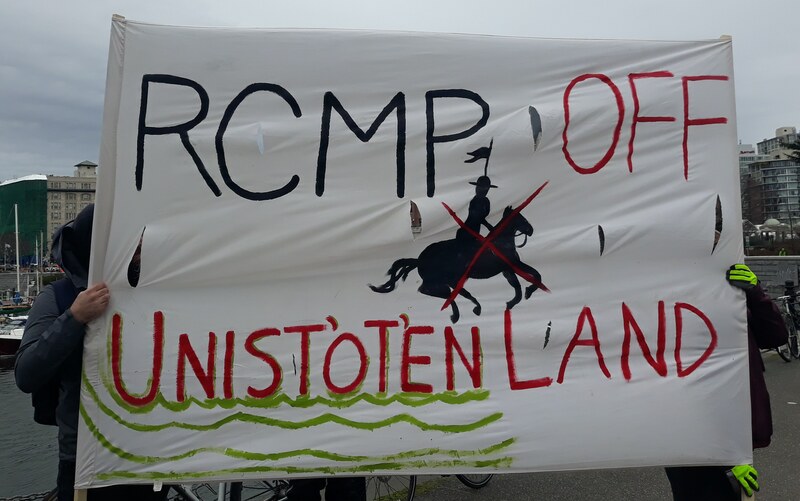 Rankin was “saddened that an election which should be about the environment, the economy, and the ethics of Mr. Harper’s cabinet, and senators, and the like is being — to some degree — affected by this mass distraction.” He himself will be keeping his eye on bigger issues, such as the environment. Oct. 19 marks the finale of what Elizabeth May called “the most critical election campaign in the history of Canada.” While becoming an informed voter is crucial before casting your ballot, reading party platforms is often not decisive enough. The best way to get to know a candidate is watching them participate in a debate, or ideally, speaking with them face-to-face. During the Saanich-Gulf Islands debate, Kane continued to represented the Liberals, while Alicia Cormier stepped in to represent the NDPs. Elizabeth May, the leader of the Green Party and incumbent MP for the Saanich riding, represented the Greens. The debate stretched past its allocated hour as candidates addressed various post-secondary issues, as well as issues surrounding pipelines, unpaid internships, and the Truth and Reconciliation Commission. Terzis wasn’t the only attendee feeling frustrated. “I’ve already voted, but today definitely swayed my opinions of some of the candidates,” says Tessa Devakos, a second-year Economics student. “I had a much higher opinion of some of the candidates than I do right now.” Devakos was one of only two students allowed to address the candidates during a question period, and her question was met with political rhetoric, rather than clarification. Furthermore, the absence of the Conservative Party did not go unnoticed. While it’s easy to make light of the fact that a teddy bear proxy filled Conservative candidate Robert Boyd’s seat for the debate, the Conservatives are currently in second place in many polls. 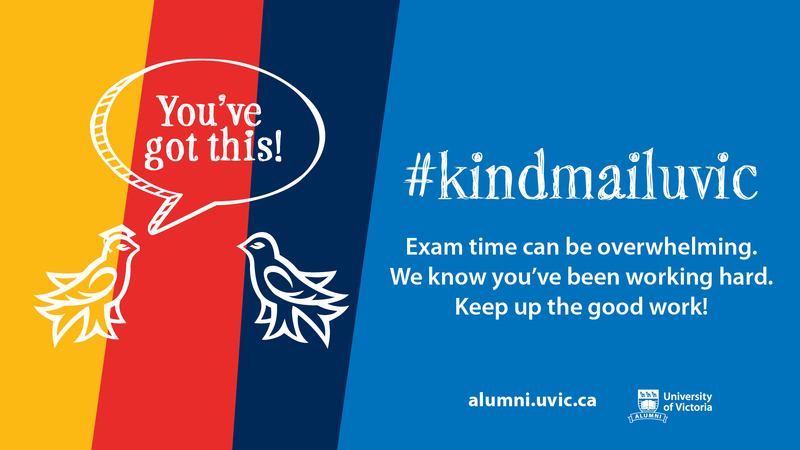 There is little chance of the Conservatives winning a seat in Victoria, but it is alarming that our next prime minister could belong to a party that does not care enough about the student vote to attend campus events alongside every other party.